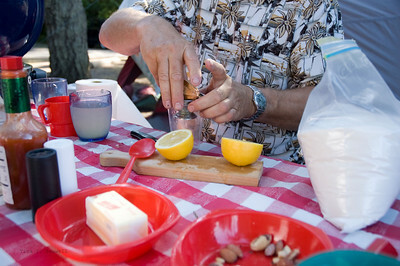 Jerry demonstrates the fine art of making fortified lemonade. 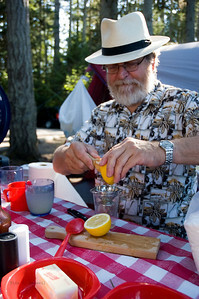 Panama hat and fortified lemonade, life couldn't be better. 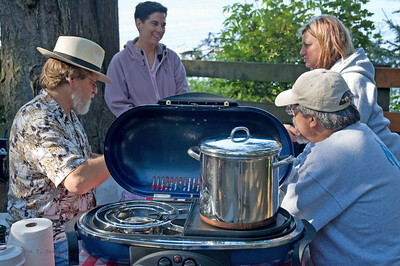 Jerry, Marylou, Jill, and Steve enjoy cocktail hour while the beans simmer over the campstove. 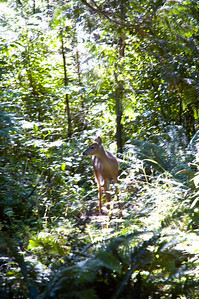 Debra spotted a deer lounging in a sunny spot in the middle of the campsites. 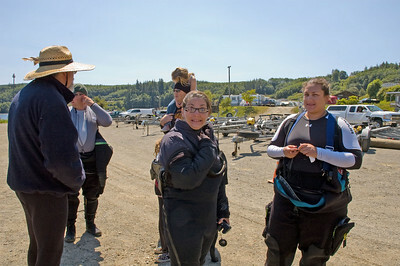 Jill recruiting potential dive club members. 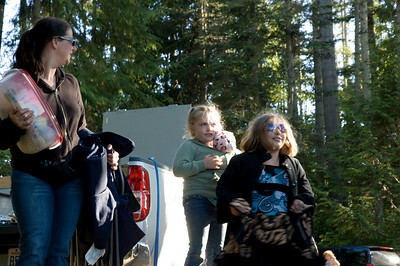 These guys live 5 miles from O'Donnell's where we meet. 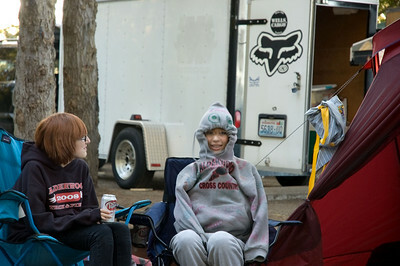 Victoria and Katelyn waiting for someone to light the campfire. 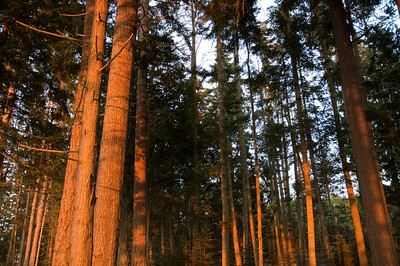 Trees in the campground during sunset. 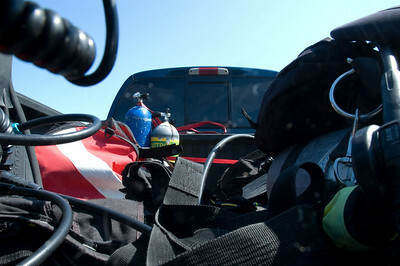 Scuba tanks for the weekend. 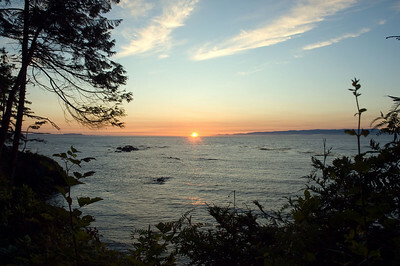 Sunset over the Strait of Juan de Fuca. 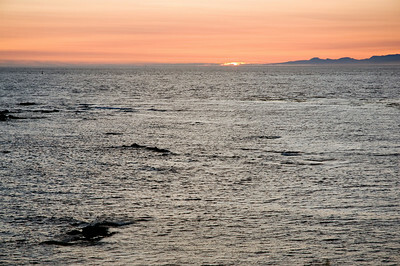 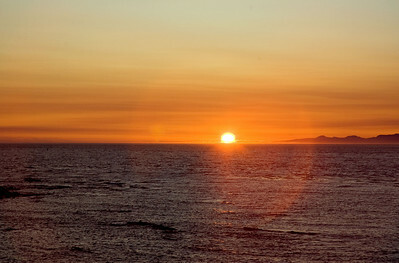 The sun melts into the Strait of Juan de Fuca. 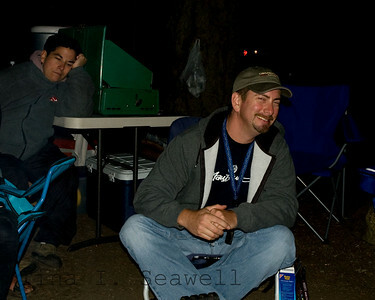 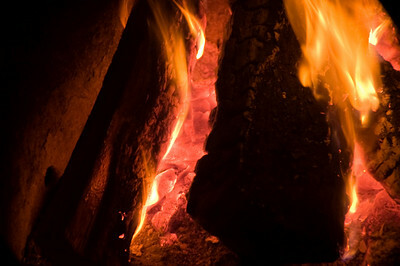 Marylou sleeping and Robert getting ready to make smores. 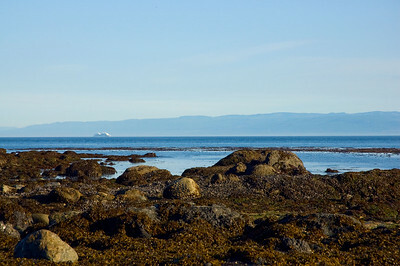 Low tide and ship in the Strait of Juan de Fuca. 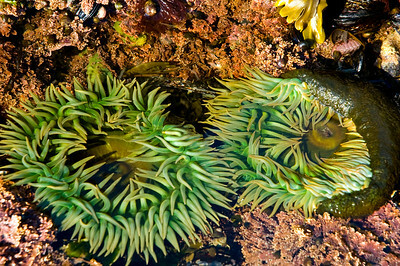 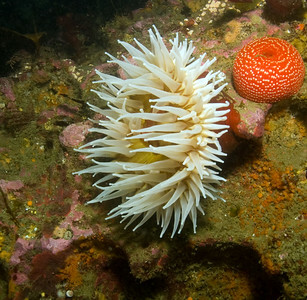 Sea anenomes in tidal pool. 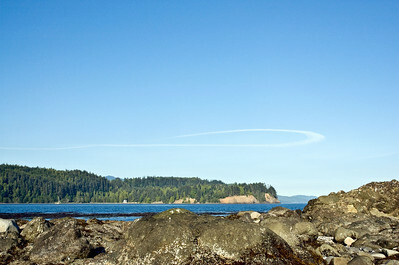 Did the plane turn around or was it the wind? 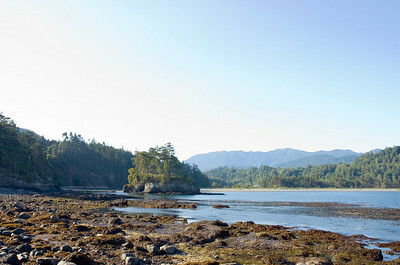 Looking into the cove at low tide. 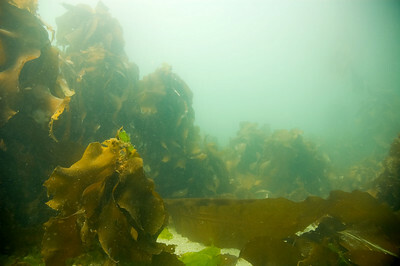 Kelp at the Seiku boulder field. 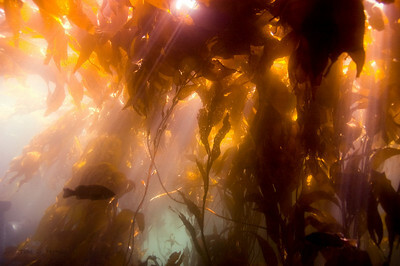 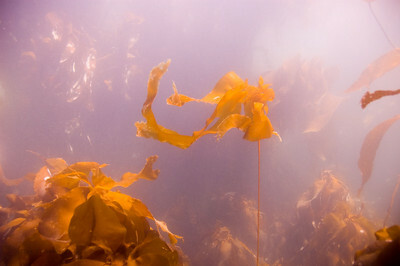 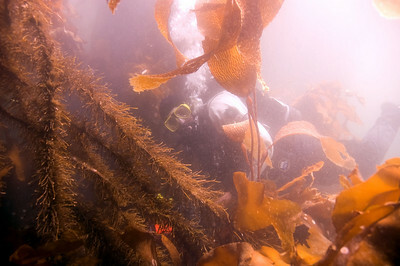 Steve disappearing into the kelp at Seiku. 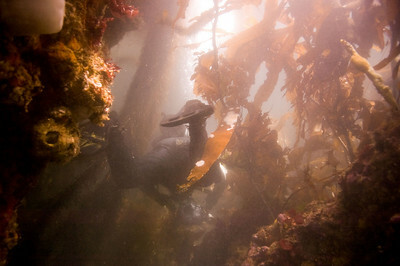 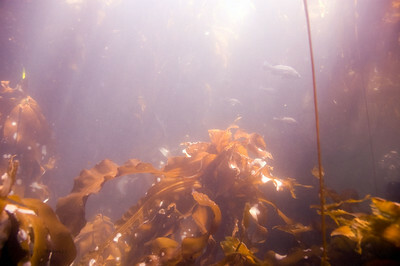 Steve maneuvering through the kelp at Seiku. 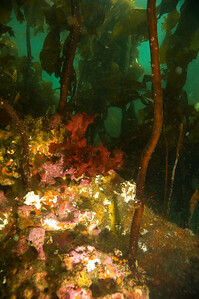 Seiku Kelp and rock fish. 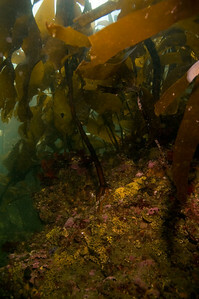 Rockfish in the kelp at Seiku. 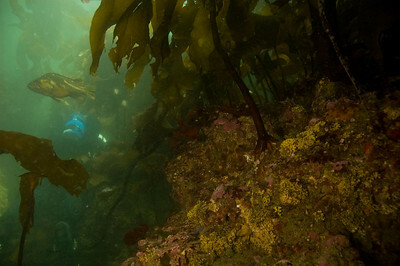 Steve borrowed my camera and took a picture of me. 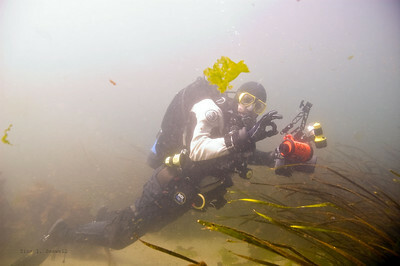 Steve heading out for the second dive. 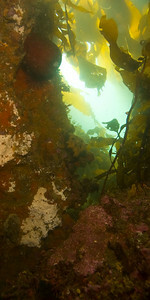 Encrusting growth on one of Seiku's boulders. 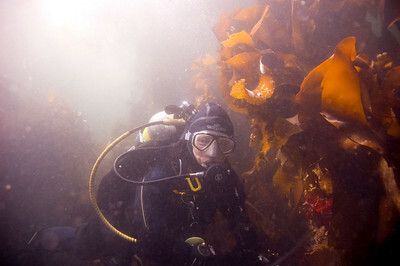 Steve dissappears around a boulder at Seiku. 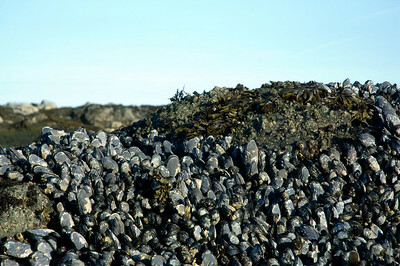 The boulder field at Seiku. 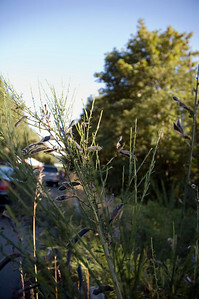 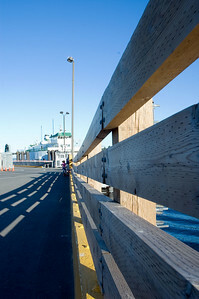 Scotch broom beside the Bainbridge Island ferry line. 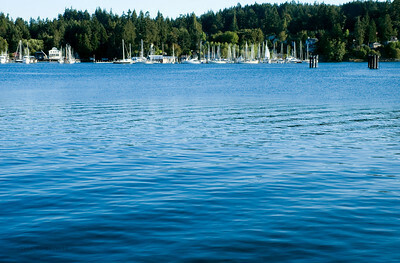 Sailboats moored near the Bainbridge ferry terminal. 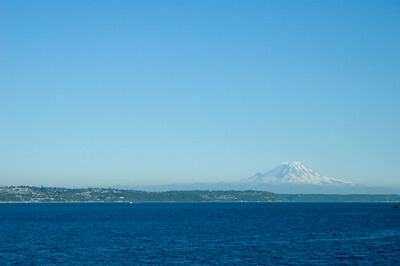 Mount Rainer from the Bainbridge Island ferry. 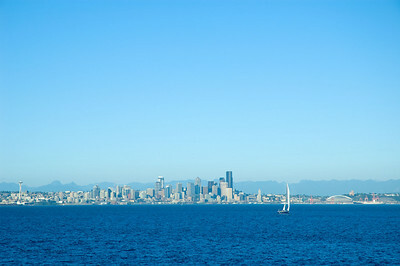 Seattle from the Bainbridge Island ferry. 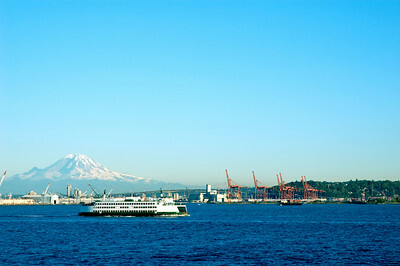 The Bainbridge ferry crossing in front of Mount Rainer and the Port of Seattle. 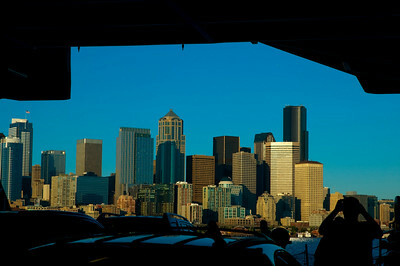 Seattle from the bowels of the ferry.